First-time applicants for a handgun license must now prove that they have been members of a shooting club for at least a year. In addition, all applicants must provide a note from a doctor about their mental health. So you have to spend a year in a club without having access to a firearm? And this is the kind of gun laws people want for this country. Also, you must be a dairy farmer for a year before you can buy cows…. 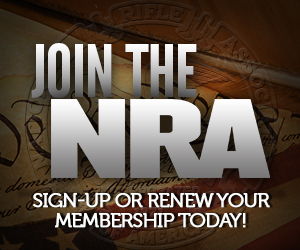 What are you going to DO in a shooting club for a year without access to a gun? Honestly this isn’t as bad as I had expected. But then again I expected far far worse. Hmm. Seems like a business opportunity for me if I decide to move there. Sales of powerful air guns, crossbows, slingshots, certain types of knives, and other weapons used primarily for killing people could be banned under pending legislation on firearms, said Jouni Laiho of the Ministry of the Interior on Friday. That’s from the Helsingin Sanomat today. I want to move! Unfortunately your country is a bit hard to get into legally. Sigh. It requires being a member, meaning paying dues, and volunteering work time to help keep the club up. My club requires 14 hours a year. I’m pretty sure that they meant owing a handgun, not access to any firearm. Just like Barrack “I’m clinging to marxisim” Obama who thinks that everybody is entitled to one musket. But black powder will be $400 a pound and lead is bad for the eviroment. Sorry, I’m ranting again.